We commit to curation of best practices, connections between mathematical ideas, and communication to learn and share with a broad audience. I can work within NCTM’s Eight Mathematical Teaching Practices for strengthening the teaching and learning of mathematics. I can exercise mathematical flexibility to show what I know in more than one way. I can make sense of tasks and persevere in solving them. Use and connect mathematical representations. Effective teaching of mathematics engages students in making connections among mathematical representations to deepen understanding of mathematics concepts and procedures and as tools for problem solving. 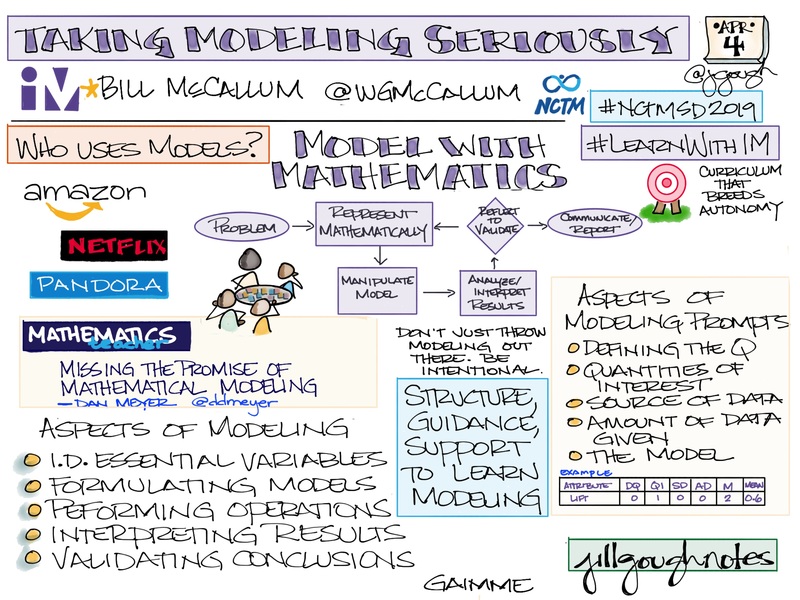 Too often students see mathematics as isolated facts and rules to be memorized. … students are expected to develop deep and connected knowledge of mathematics and are engaged in learning environments rich in use of multiple representations. Gough, Jill, and Jennifer Wilson. “#LL2LU Learning Progressions.” Experiments in Learning by Doing or Easing the Hurry Syndrome. WordPress, 04 Aug. 2014. Web. 11 Mar. 2017. Leinwand, Steve. Principles to Actions: Ensuring Mathematical Success for All. Reston, VA.: National Council of Teachers of Mathematics, 2014. (p. 21) Print. Smith, Margaret Schwan., et al. Taking Action: Implementing Effective Mathematics Teaching Practices in Grades K-5. The National Council of Teachers of Mathematics, 2017. Seeking brightspots and dollups of feedback about learning and growth. 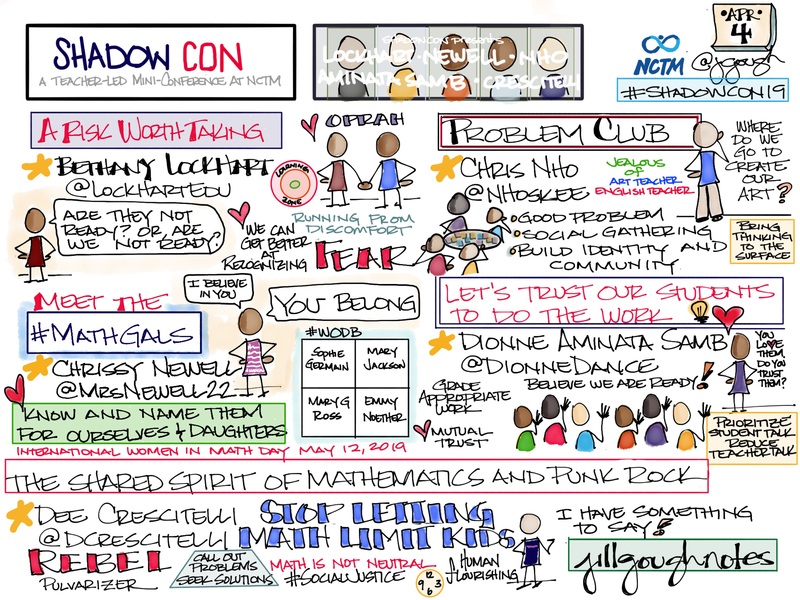 Sharing my #Sketchnotes of what I want to remember from Lesson Study with @MathGeek76 #NCTMSD2019 Lesson study as identity work.